"Planet's goal? To photograph every place on the planet every day..."
Planet is already (2014) photographing one-third of the world everyday. Will Marshall, the co-founder and chief executive officer of Planet, explains how these images will comprise a global Earth archive of change. Planet's new acquisition from Google of the high-resolution Terra Bella satellites greatly expands the micro-satellite industry and its capabilities to monitor the Earth..."
Google acquired its satellite division, called Skybox Imaging, for $500 million in 2014. Over the past three years PlanetLabs has built almost 200 Dove micro-satellites. "Planet Labs platform is enabled by 'agile aerospace'. This means that we 1) embrace Silicon Valley best practices across spacecraft development, mission control, and product development, and 2) leverage heavy investment made in consumer technology. We’re applying Moore’s Law to satellites." Will Marshall (video): "Building an API for the Planet"
The launch comes a day after a manned spaceflight milestone: the 5,000th day humans have lived inside the $100 billion International Space Station. Kirt Costello, assistant International Space Station program scientist told reporters: "Really it's an amazing feat to be able to already have completed so much science." "In those 5,000 days, not only have we managed to assemble this unique laboratory, but we've been able to conduct 1,600 experiments to date." "We are now in a period where utilization is really the prime goal of the space station." Start-up 'New Space' commercial companies are finding ways to use the International Space Station as a platform for earth science, monitoring, research and applications. 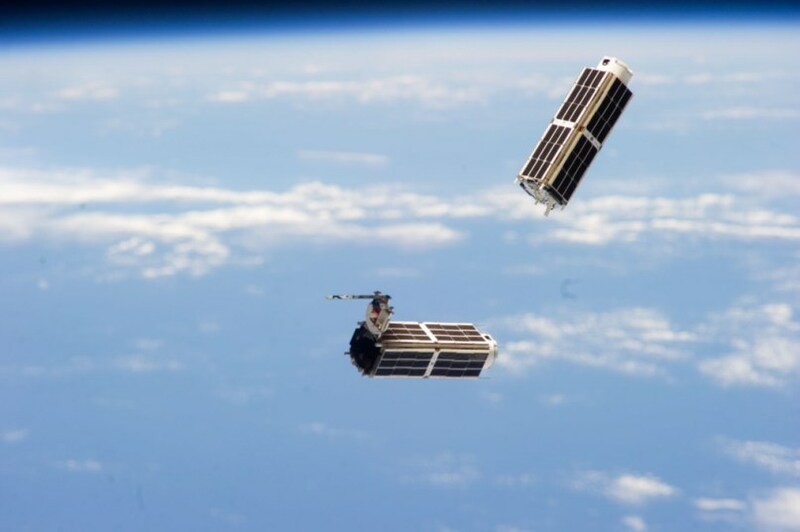 Planet Labs, a San Francisco-based start-up that aims to image the whole Earth once a day, is sending a new constellation of 28 small satellites to be deployed from the station via Orb-2. Student science onboard -- 15 student science experiments chosen from more than 1,000 proposals through NASA's Student Spaceflight Experiments Program (SSEP). 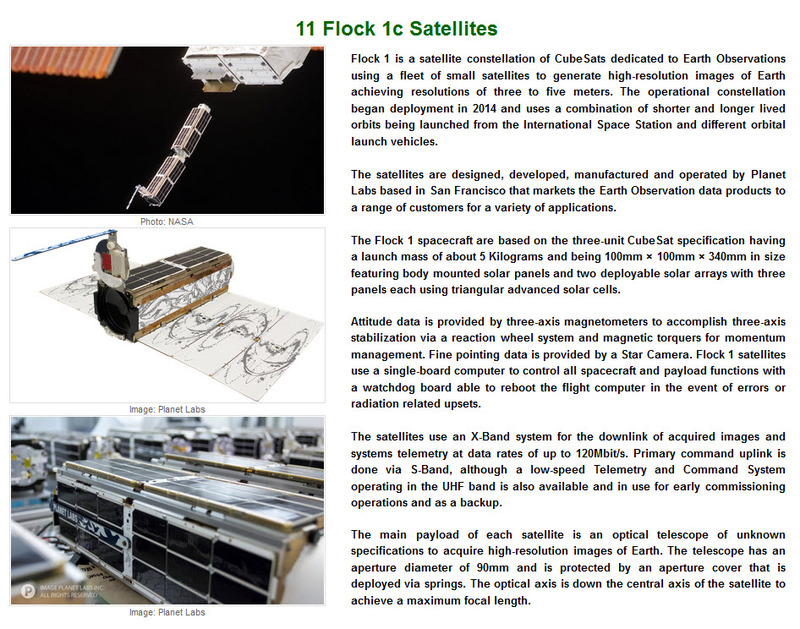 The student experiments were prepared by Nanoracks, which also has 28 of Planet Labs' CubeSats on board the Cygnus. The CubeSats will be deployed into orbit through Nanoracks’ smallsat deployment system. Visit Planet.com where everyone can access Planet Labs' #EarthImaging data... Earth stewardship, planet citizens @work. “We are motivated to make information about the changing planet available to all people, especially the people who need it the most,” said Robbie Schingler, co-founder of Planet Labs.